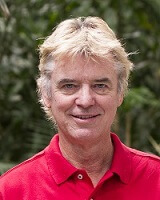 Professor John Hattie is an educationalist with research interests in education assessment and evaluation. He was awarded a PhD in education from the University of Toronto in 1981. He is currently the Director of the Melbourne Education Research Institute at the University of Melbourne and is an Honorary Professor at the University of Auckland, New Zealand.